Celebrate your fall nuptials with a favor that's filled with flavor. 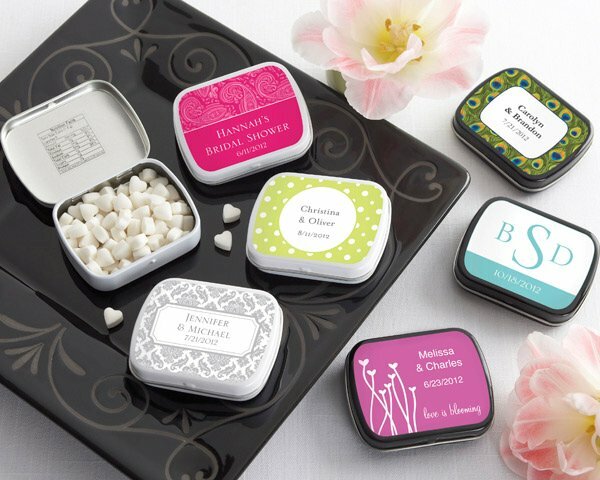 Your guests will enjoy the personalized design on the cover of each tin almost as much as they will like the tasty peppermint candies inside! 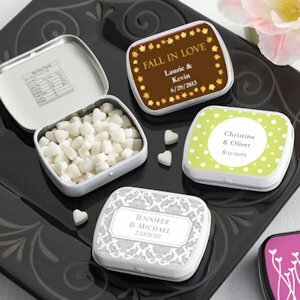 Each tin measures 2 1/4" by 1 1/4" by 1/2", which is the perfect size for purse or pocket. Minimal assembly is required to adhere each personalized sticker to the tin. Choose from the designs shown here - or more than 160 others - during checkout.